Home » Posts tagged "News Releases"
SleepBetter.org reached the culmination of a summer-long program to help teach healthy sleep habits, by launching five “Pillownauts” into space. 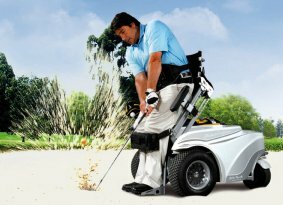 Sheltering Arms is kicking off the 2013 golf season with an exciting program designed especially for people with physical disabilities. Despite being more than two years old, the breakthrough online video “2 Guys 600 Pillows,” produced by Rhett & Link and SleepBetter.org, continues to shatter milestones. While a vigorous debate is underway over Black Friday shopping actually starting on Thanksgiving this year, a premier sleep news and information website says there is a big benefit for drowsy consumers. Sheltering Arms, Central Virginia’s premier physical therapy rehabilitation healthcare provider, is inviting the public to play in a very different type of golf tournament. Sleep news and information website SleepBetter.org warns that if you want to avoid colds and flus this winter, getting a good night’s sleep is a good first step.